PHILADELPHIA — There’s no such thing as a healthy cigarette, but plenty of people seem to be fooled by the popular brand Natural American Spirit (NAS), which touts its smokes as being “organic” and “additive free,” according to a new study. It’s an easy mistake to make if you’re not reading the packaging closely. Natural American Spirit markets its products as being, as seen in its name, “100% natural” and some of its products as having “100% organic tobacco.” Indeed, the tobacco grown for those packs is done so organically, but that doesn’t mitigate any of the health hazards of smoking. 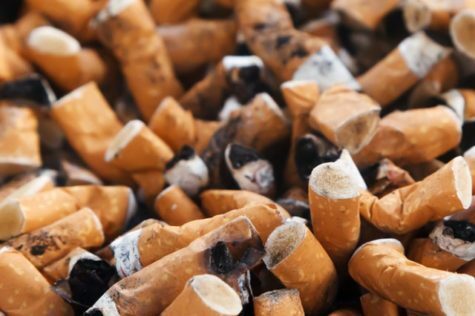 The study conducted by the University of Pennsylvania’s Tobacco Center of Regulatory Science (TCORS) found that many current and former smokers believe that NAS “additive-free” cigarettes are better for them than other cigarettes. For their research, the authors recruited 1,128 people who smoke cigarettes every day or intermittently, along with people who previously smoked. An advertisement for Natural American Spirit organic cigarettes. Smoking any kind of tobacco, or other substances, for that matter, can cause diseases such as emphysema and lung cancer. Even if no pesticides were used to grow the tobacco in the cigarettes, it’s still tobacco, the authors note. Gratale and her team presented their test subjects with a series of Natural American Spirit advertising, then questioned them about their products. They also asked the same questions of a group of people who hadn’t seen the advertising. Unsurprisingly, the group exposed to NAS advertising held more erroneous beliefs about the products than the control group. Just like many consumers believe food brands that sell all-natural, organic products are healthier, the participants viewed the “organic” cigarettes in a similar fashion. The researchers found these results remained true regardless of whether or not NAS was a smoker’s favored brand. “These phrases and words can activate beliefs about the brand that are not specifically discussed in the ads themselves, ultimately misleading consumers,” says Joseph N. Cappella, the senior author of the study. Gratale says the ruling may not be enough to keep people from being mistakenly drawn to the products. The complete study was published in the journal Tobacco Control.